In the 80s, Cannon Films was the undisputed king of the action B-movies. Much like Carolco, Cannon knew its audience and went for it, only Cannon turned out many more films, with budgets that weren’t exactly top-dollar, and the movies could be pretty bad, if not trashy. They made big explosive action films that also played well in international markets, while occasionally pursuing prestigious projects. The same studio could put out Runaway Train, an acclaimed action film based on an Akira Kurosawa script, or it could release a flick about Kathy Ireland falling into the depths of the Earth to find an underground civilization in Alien from L.A. Today, Cannon is pretty much a memory, but a fond one for many moviegoers of that era. Cannon started out in 1967, founded by Dennis Friedland and Chris Dewey. In the 1970s the studio mostly put out foreign films, comedies and exploitation flicks. The studio hit hard times and in 1979 the duo sold Cannon to Menahem Golan and Yoram Globus, two Israeli-born cousins who were also filmmakers. Golan and Globus then proceeded to turn Cannon into a B-movie powerhouse with a few deft moves. Paramount had released the Charles Bronson revenge flick Death Wish, but Cannon decided to turn it into a franchise, so they signed Bronson for what became four sequels. The studio also collaborated frequently with martial arts star Chuck Norris and struck gold with the Missing in Action series and the original Delta Force. The cousins also got Sylvester Stallone for the hit movie Cobra. In all, it added up to a successful combination. Action B-movies, mostly featuring Norris and Bronson, and on a few occasions Stallone. But text can’t capture what Cannon was about better than this rockin’ promo: LINK. Still, that may be selling Cannon’s catalog short, for they also had a good repertoire of comedies and even musicals. Ever wonder where the weirdly-titled Breakin’ 2: Electric Boogaloo came from? Both Breakin’ movies were released by Cannon. The studio also released the teen cult classic The Last American Virgin. Cannon also had its share of prestige movies. Runaway Train was a big hit and snagged Oscar nominations for stars Eric Roberts and Jon Voight. The studio also distributed a number of foreign-made films like Otello, some of which would go on to critical success. Arguably 1984-early 1986, when many of their bigger hits were released, such as the two Breakin’ movies, the Chuck Norris headlined Missing in Action flicks, up to Norris’ Delta Force. After DF, the studio’s fortunes started plunging. Superman IV. Cannon had scored a big coup in getting the film rights to Superman after Superman III underperformed, and even better in getting Christopher Reeve, Margot Kidder and Gene Hackman back to do the film. Unfortunately, the end result was a mess, as Cannon robbed most of the film’s budget for its other projects, leaving sub-par special effects and a movie that was severely cut down. Robotech fans may count the very limited release of Robotech: The Movie as their pick for Cannon. The original series was a splice of three anime shows produced by Harmony Gold, and the same company attempted to adapt a straight-to-video anime called Megazone 23, but the studio ordered more changes and cuts, and the result was a disaster that disappeared from theaters quickly and today still has no VHS or DVD release. Over the Top raises eyebrows because it’s a Stallone movie about…arm wrestling. Breakin’ 2: Electric Boogaloo is notorious for just its perplexing title. Jean Claude Van-Damme. The “muscles from Brussels” got his film career launched thanks to Cannon. The studio had planned to make a sequel to their Masters of the Universe film by setting it on a post-apocalyptic earth. At the same time, the studio was planning a Spider-Man film, to the point that costumes and sets were built for both movies. However, both projects fell apart, and director Albert Pyun quickly wrote a script based on the props and materials created for the two movies, and the result was the Van Damme vehicle Cyborg. Cannon would also release the Van Damme martial arts flicks Bloodsport and Kickboxer. In fact, Van Damme had an uncredited role as a dancer in Breakin’. Michael Dudikoff may count if you consider the American Ninja flicks, but he pretty much stayed in the B-movie ghetto and never became a major star. Movie tough guys Danny Trejo and Tommy "Tiny" Lister also made their feature debuts in the critically acclaimed Runaway Train. These two would have a long trail of credits to follow. Finally, Morgan Freeman, two years before his breakout roles in Driving Miss Daisy and Glory, received Academy Award and Golden Globe nominations for his role in the 1987 Christopher Reeve headliner Street Smart. Cobra, Death Wish II-IV, the Missing in Action films, the Ninja films, Delta Force, Masters of the Universe, Cyborg, Superman IV, Bloodsport, Kickboxer, Breakin’, Breakin II: Electric Boogaloo, The Last American Virgin, Exterminator 2, Robotech: The Movie, The Texas Chainsaw Massacre 2, Kinjite: Forbidden Objects, Allan Quatermain and the Lost City of Gold, Invaders From Mars (1986), Runaway Train, King Solomon’s Mines (1985), Firewalker, Invasion U.S.A., Lifeforce, Alien from L.A., Behind Enemy Lines, Otello, 52 Pick-Up, The Hanoi Hilton, Appointment with Death, The Assassination, Hero and the Terror, and Platoon Leader. Cannon put a lot of projects in the pipeline. In 1985, Cannon released 16 movies. In 1986, 15. For 1987, they released 23. It got to the point where they were releasing films week by week. 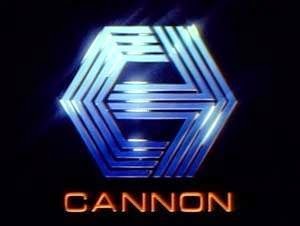 From January 30, 1987 to February 13, Cannon released a movie each week. Cannon had so many movies in production that it started choking off their finances. This came at a horrible time, as Cannon had just secured the rights to make a fourth Superman movie. Cannon partnered with Warner Bros to make the movie, and WB put in around 37 million…which Cannon promptly took, distributed most of it to other projects, and left Supes with just 17 mil. The financial drain also impacted shooting of the final battle sequence in Masters of the Universe, causing it to shut down before it could be completed; it was finally patched up two months later on a different soundstage. The impact also destroyed a proposed Spider-Man adaptation, although we can be thankful it went nowhere as Golan and Globus had no idea what the character was really like and thought it was about a giant tarantula. Cannon was on the verge of entering the comic book movie market and had it succeeded it could have saved the studio. Instead Cannon choked on too many projects. The failure to create a breakout hit plus the cooling of the film market took its toll. The action B-movie was beginning to wane, and with the rise of straight-to-video, making cheapies for the big screen wasn’t as practical any more. Add to that, Norris and Bronson had been playing more or less the same roles for too long, and audiences weren’t as interested any more, going instead to see newer guys like Willis and Seagal. Ironically, Cannon’s television division would help transition Norris from the big to the small screen by producing the first three episodes for Walker: Texas Ranger before the company went under. Cannon was taken over by the Italian company Pathé Communications, allowing the studio to continue into the early 1990s, but the studio was a husk of its former self. Their releases barely made a blip; most of them didn’t break a million at the box office, and some just went straight-to-video. By 1994, the studio was dead. Menahem Golan continued making movies post-Cannon, including Bronson’s final theatrical movie, Death Wish V. Golan died in 2014. After Cannon folded, Globus returned to Israel and has worked in that country’s film industry since. The studio is still fondly remembered today. With costs of filmmaking having risen so high, ironically it has helped resurrect B-movie making in certain quarters with the use of “found footage” flicks or CGI effects to help shave down costs. And the growth of the international film market has caused many studios to gear their own releases for what foreign audiences want as much as Americans’. Current mini-major giant Lionsgate has recently released a number of Stallone-Schwarzenegger flicks like Escape Plan and the Expendables franchise, serving a niche action market much the way Cannon did with Norris and Bronson. So what is your favorite Cannon picture? What do you think of the studio? Any other thoughts? Interesting review, Jason. For me, the 80's were last great decade of film. Plenty of B-grade material to laugh at or just enjoy. (Today it's all either pretentious or dumbed down.) Ah, truly a great time to be a kid. You know, I...wait a minute! This outfit was responsible for "Alien from L.A.?" AND "Breakin' 2: Electric Boogaloo?" Good grief. It sounds like these guys were behind at least half of MST3K's material- films and jokes- not courtesy of Roger Corman or Bert I. Gordon. So, by osmosis, I guess they're also responsible (sort of), for the MSTie meme so golden it's now a favorite of 'Transformers' fans, too. God help me, I am such a geek. But can we not speak of 'Masters of the Universe?' Geez, am I glad I didn't see that stinker in theaters. Skeletor with eyes? Teela with mall hair? Almost nothing happening in Eternia? -it's all on Earth? Courtney Cox trying to convince us she could act? No Trap-Jaw, Tri-Klops, Kobra Khan or Ram-Man? Though, to say something positive, Meg Foster was absolutely, perfectly cast as Evil-Lynn. And Jason, because Cannon's totally 80's logo and extremely, awesomely 80's promo put me in such a good mood, here's a collection of the oddest and most bizarre 80's TV intros on the Net. LINK No real connection to Cannon. It just fits the mood. I'm desperately waiting for this documentary on Cannon Films to be released here in the U.S. (Though I haven't exactly done a thorough search online for it.) It looks like a lot of fun! I had more fun watching Masters of the Universe for the first time five or six years ago with friends in someone's living room than I have in the theater in years. It's easy to see why a generation of kids would embrace it, even if it falls a bit short of what the creators intended. And by "bit", I mean a metric f--kton! I believe Street Smart was the movie Cannon let Christopher Reeve make in exchange for starring in Superman IV. One note on Superman IV: Film Score Monthly released a wonderful boxset of all the Reeve/Superman soundtracks and it turned out that all the deleted scenes from this film were actually scored. It gives you an idea of just what a mess the production was. And the music is quite excellent—it's a shame much of it was dialed out in the final film or cut altogether. I had also found the actual Alien From L.A. trailer a week ago. Ah, the era when you actually could see movie trailers for cheese like this. I can’t quite agree on MOTU. For what it was, I actually enjoyed it. Frank Langella was awesome as Skeletor and I get a kick out of Dolph playing He-Man with his thick Swedish accent. Plus I kept expecting Lubic to say “Eat lead, slackers!” as he shot Skeletor’s troops. (I do agree on Meg Foster) Its shortcomings on the source material was due to budget, though it probably would have been one of the most expensive movies of the era to try and reproduce the cartoon and toys faithfully. The better MOTU movie has definitely to be made, I’ll grant that. That collection of intros: AWESOME. I love the fact that Automan even exists. ScottDS: Yep, Street Smart was the flick Cannon agreed to make if Reeve would come on board for Superman IV. Unfortunately, Cannon even slashed Street Smart’s budget when Reeve wanted to shoot in New York and couldn’t; that’s when he realized Superman IV was going to have trouble. It’s a shame, as Superman IV was clearly trying to be just like the first two movies and might have gotten there if Cannon hadn’t robbed its budget and hacked the film into a mess. I was surprised to learn that were originally supposed to be two Nuclear Men! I vaguely remember seeing Masters of the Universe in the theater (I’d have been six back then). I agree it falls short of the source material; the show took place on the planet Eternia with Earth only getting occasional brief mentions. The character depictions were pretty mixed, and it was weird how some new evil henchmen (Blade, Karg, Saurod) were created just for the movie when they could have done, say, Trap Jaw, Tri-klops, more from the original toyline or the cartoon. The director’s commentary on the DVD is also fascinating to listen to. Jason, Another fantastic article! Thank you! This has been an excellent series! Again, these are films I grew up with. Golan and Globus are very familiar names and I own half these films! In fact, at one point, Cannon was probably my favorite studio. That said, them failing doesn't surprise me as much. For one thing, they always did seem kind of cheap. So I assumed they never had much money. For another, they never had the kind of worldwide, cash-cow hits of the other studios you've covered. So they never had the cushion that should have guaranteed them eternal life... should have. I LOVE the title "electric boogaloo," and I've said those words many times in my life. Andrew, thanks. I agree, I can’t think of any mega-hits Cannon ever created. They seemed content to just keep putting out smaller budgeted films and subsist off modest returns. Had they just cut back on the number of films they put out, I think they could have survived into the 90s. Though I wonder if any studio like Cannon could survive today. Back then, movies could play on screens longer, and plus you had a second go-around in dollar theaters. That helped level the playing field for B-movies. Nowadays, movies are so incredibly frontloaded that if you don’t get most of your haul on the first weekend, you’re pretty much dead in the water. I like Bloodsport, too. I have Kickboxer on my DVD shelf. I’ll give that a watch soon. Jason, I don't think any studio could survive in this mode today because the film industry seems to have changed. The stars get too much, the effects cost too much, and there's just too much competition from television for anything that doesn't seem "special." Cannon's main legacy is the aforementioned "Electric Boogaloo" (shut up, spell-check, it is TOO a word), which gets attached to any sequel of questionable quality. Try it: Jaws 2, Speed 2, Nutty Professor 2, any of the Transformers sequels, etc. Dave, I do that all the time! LOL! Ah Memories. Meg Foster and those damn near translucent eyes! SCHWING! Why Make A Sequel To Blade Runner?